As there is a bit of a lull in Broody’s flying logs for a couple of weeks, I thought I’d go off on a bit of a tangent and share the following story with you. The temptation to delve into the story was too great to resist, so armed only with a name and a place of interment, I set out to see what I could discover about Fg Off Stanley Alfred Isham. He enlisted in the RAFVR between Apr/Oct 1941 . His service number was 1610904. I could not find any record of him with any Operational Training Units or Conversion Units, but knew from the initial information I had that he was posted to 463(RAAF) Squadron at RAF Waddington. There is no record of his arrival in the ORB for 463 Squadron, but he was not part of C Flight, 467 (RAAF) Squadron who formed the initial core of 463 in November 1943. Based on flights by McKnight as 2nd Pilot in December 1943, it is likely that was his date of arrival. So now we know a bit more about Stan Isham’s war time service – but can we expand on the story and fill in the gaps between enlistment in 1941, through training and conversion until he joined 463 (RAAF) Squadron in early 1944? And of course there is the photograph that Nic shared with me. The photo is not annotated, but can we identify the others in the picture? 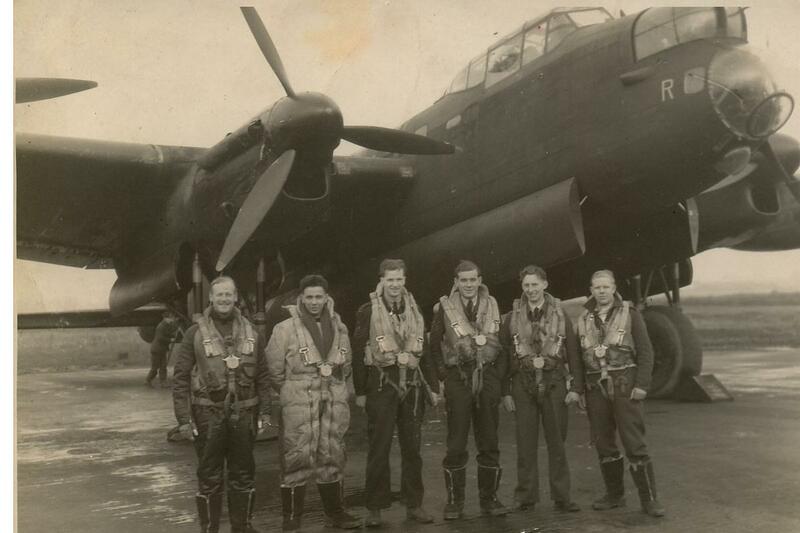 Stan Isham (2nd from right) and his crew-mates in front of aircraft DV274 (JO-R) of 463(RAAF) Squadron.